Our cohort recreated some of the images we discovered during our Ile Ife archiving at the Charles Blockson Collection. While for Taylor there was an importance to collage all the photos together into one art piece! Iraissa Ann Reilly, Kennedy Griffin, & Alise Mackey with Pam Coleman & Jan Green. 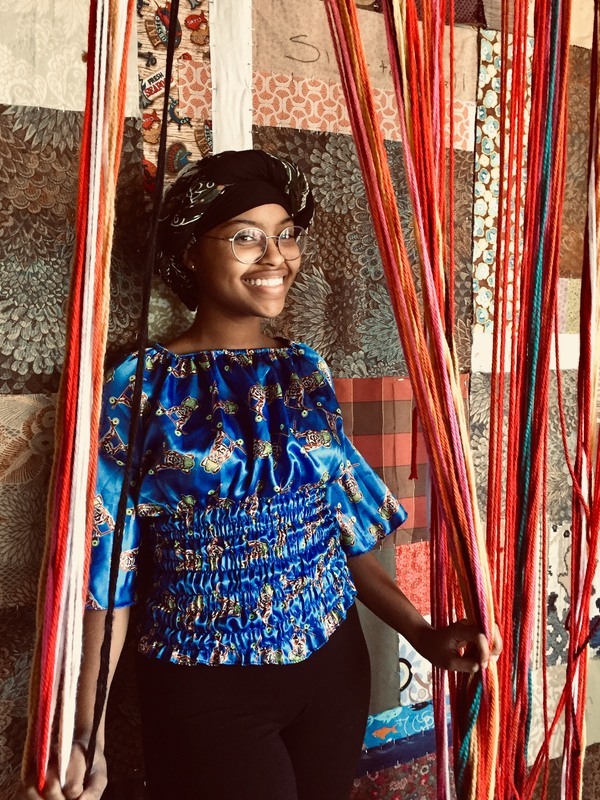 Every other Saturday since October, a group of fifteen young women of color have gathered together to learn more about the history of African American women in Philadelphia. 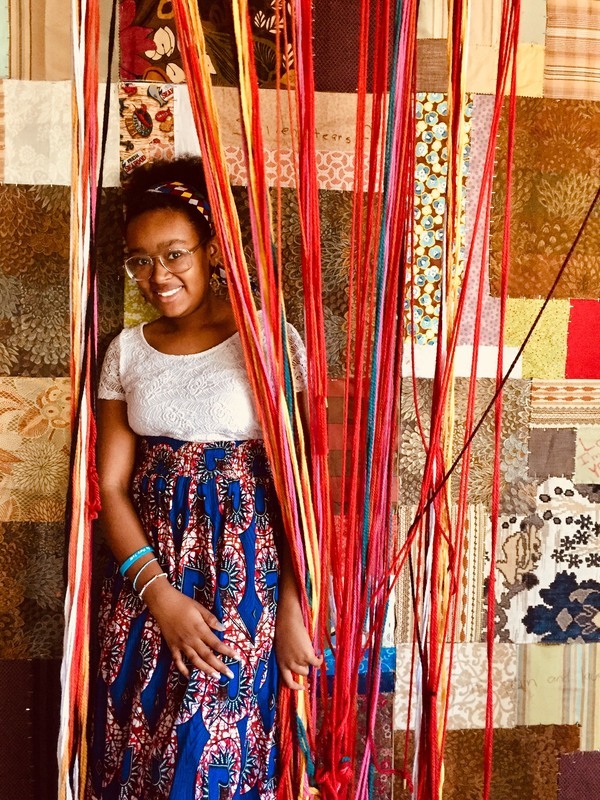 It’s been a great collaboration between The Colored Girls Museum in Germantown, Philadelphia Young Playwrights, and various museums and archives throughout the city. 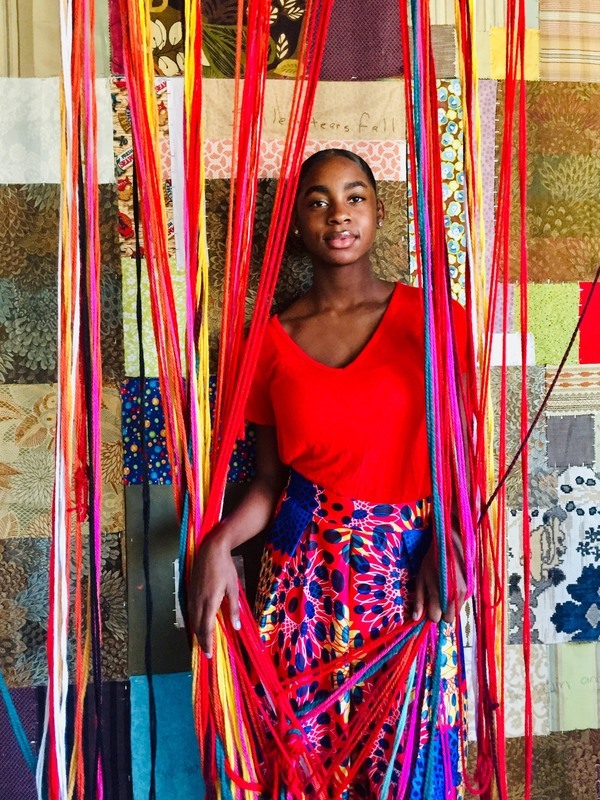 As part of the program, called Performing Identities, we are in search of the colored girl—our mission is to discover her story, a story which up until now has gone untold. A history that has been buried within the stacks, preserved by those brave women who held onto these tangible items we would come to discover today. The items that would help us to discover her, in hopes of discovering something about ourselves. 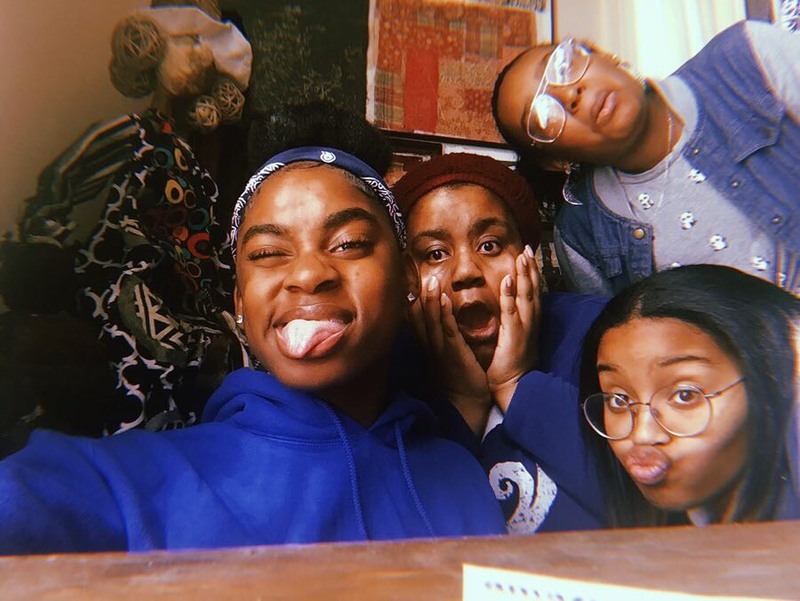 We are the young women of the Ivy Leaf cohort, tasked with researching and performing a piece that would tell the story of the oldest African American school in the city of Philadelphia. This school, which was one of the largest of its kind in the nation, was founded in 1965 by Liller and William Green. 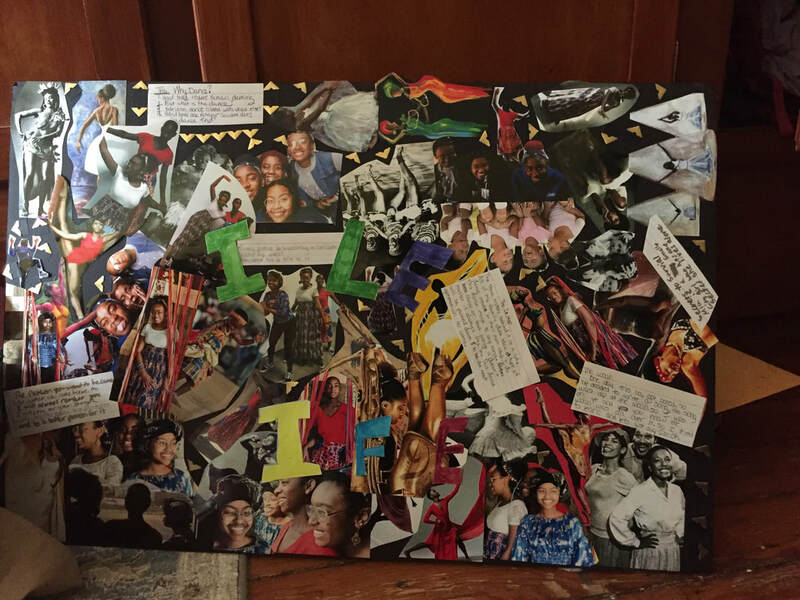 In searching through fifteen boxes of materials at the Charles L. Blockson Afro-American Collection at Temple University, we learned that Ivy Leaf began as a pre-school when the Greens could not find a suitable school for their eldest daughter. It grew into an elementary school, later adding a middle school, with various locations. Ivy Leaf closed in 2008, but its legacy lives on through its students who went on to become successful lawyers, doctors, teachers, politicians, artists, and more, contributing to their communities and owing their successes to the nurturing environment and education that they received at Ivy Leaf. We were honored and grateful to speak with Pam Coleman and Jan Green, the daughters of Liller and William the last time that we met. Pam and Jan were students, and later worked at the school for a number of years after graduating college. Since we’ve been learning about Ivy Leaf from the archives, it was cool to get the perspective of these women who were students and employees of Ivy Leaf at one time. Before meeting, we were excited, but not sure what to expect. As it turns out, Ms. Pam and Ms. Jan were so nice, so it was fun to interview them. They were friendly and they had awesome stories to tell. You would ask a question and they would be very specific in their answer, which was very helpful. You could just tell that Ivy Leaf had a profound impact on their lives. We were struck by how successful everyone at Ivy Leaf became. Just hearing Miss Jan say she went to Hampton and Miss Pam went to Emory was impressive. Both women had all different kinds of jobs and had so many different talents that they could exhibit and they gave back to Ivy Leaf. When they think of alumni, they think of lawyers and educators and doctors- people who are extremely successful and it was such a nurturing environment that gave you confidence and really appealed to the entire self, that so many of its students became amazing members of society. They talked about how when they left Ivy leaf they moved from a predominantly black environment to schools that were predominantly white. The education they received at Ivy Leaf gave them a confidence and preparation going into these spaces knowing that they had received an education that surpassed most other schools. We are creating different kinds of pieces to share at Activating the Archive. I (Kennedy Griffin) am creating a poem about Ivy Leaf. After meeting with Miss Pam and Miss Jan I have a better Idea of what I would like to write about. 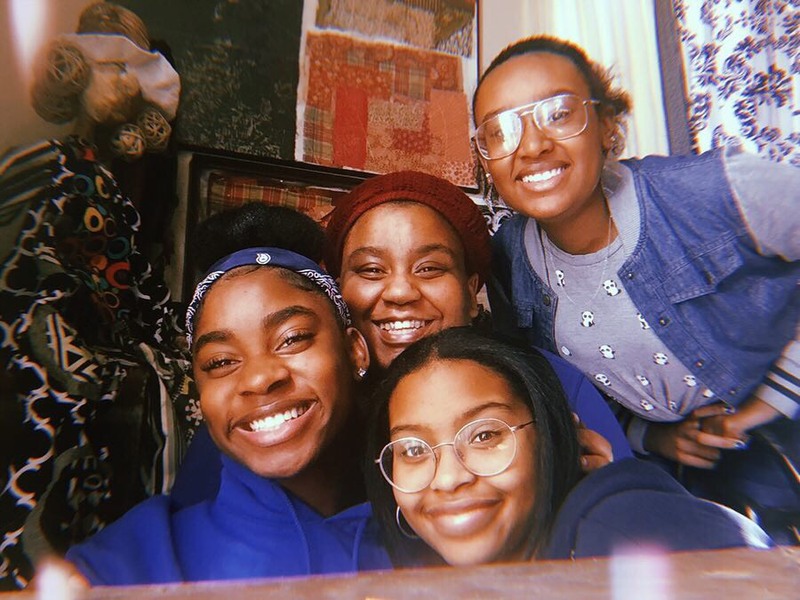 The fourth and final installment of Germantown Friends junior Isabel Mehta's blog series about the process behind the Mouthful Monologue Festival. And so it is finally complete. The Mouthful Monologue Festival. Two weeks, nine shows, six actors, 18 monologues. Some were hilarious, some heartbreaking, and so many were both. Before even entering the performance space is the lobby. With the walls adorned with photos and quotes from the 18 playwrights, it was the perfect way to bring audience members into the world of PYP. I entered the Drake Theater space nervous, but was pleasantly surprised by the quirky music playing and the dim, warm lights. There was something special about the air, but maybe that’s just theater. The anticipation of a performance is what gives space energy. What makes the Drake Theater so special, I think, is its intimacy. The theater seats 80 people maximum, so it has the feel of a small, back-alley comedy club. If sitting in the front row, an audience member could be less than three feet from a performing actor. While I never sat in the very front row, I was surrounded and engulfed by the entire theatrical experience. As the background music faded and the last audience members took their seats, the five or so actors for the first piece, "Organic," emerged on the edges of the stage with backpacks, posing as students. After a short introduction video with some “turn off your phone” and “this is what your about to see” type messages, the first performance began. "Organic" was the perfect piece to kick off the show, because it was the right balance of humor and heart. A young teenager who can’t stay awake in class transitions into an inner monologue about his struggle with identity and staying true to himself. It set the tone for the rest of the show. After "Organic," the monologues rolled in, one after the other. Each one with its own great one-liners, moments of power, humor, and imagery. Each one with a dedicated and passionate actor driving the performance. Each one touching the audience in some way, whether it was relating to the teenagers in the audience about the loneliness of summer vacation or having everyone contemplate the meaning of life through the perspective of a balloon. This, folks, was magical. It was fast, all of the performances contributing to the collective rhythm of the show. Not a second was wasted, not a moment was spared. An impeccably orchestrated night. As Jack, who had a balloon tied to their rear end, spoke the last lines of "Letting Go" and the house lights came on, the other five actors emerged from backstage and took their bows. After a friendly Q&A between the audience and the writers and actors, the theater emptied out. But what stayed in the space were lines like “I just want to belong” and “I’m so lonely;” lines like “I am reclaiming the right to be happy” and “I’m scared you will stop loving me.” These words, and so many more, will live in that space forever. That’s the point of theater, I think. To tell stories that will hang in the air long after the audience leaves, long after the lights shut off and the curtain closes. So the Mouthful Monologue Festival of 2019 lives on, because when the actors and writers triumph, it is our triumph, and a gift for everyone to hold on to forever. The 2019 Mouthful Monologue Festival featured 18 monologues written by students in grades 8-12, directed and performed by theater professionals. The winning monologues were selected from more than 660 submissions from students in 27 different schools.